This is starting to resemble a real winning streak, not just a few games, but an actual legitimate winning streak. The Cubs had everything working for them today as they pitched, hit, and played solid defense, that usually wins a lot of games. The Cubs only needed one inning in this one as they scored five times in the third inning to take a 7-0 lead en route to a 7-2 victory, their fifth straight. The big blow came from Scott Hairston, who must have been taking pointers from Travis Wood before the game as he mashed a grand slam, just like Wood did a day earlier. After the third inning the Cubs didn’t do much with the bats, but they didn’t need to as Matt Garza was outstanding in picking up his first win of the season. Garza worked seven strong innings giving up two runs on six hits while striking out four, he didn’t walk anybody. Over the last five games, the Cubs are 15-for-38 with runners in scoring position, that is mind-boggling for a team that hasn’t been above .200 as a team in what seems like forever. It really doesn’t get much better than this, I mean I’m a Cubs fan, it’s the small victories that make me happy because the larger ones aren’t here yet and haven’t been for some time. I have faith the bigger wins will be here soon enough, until then I am going to bask in the glow of the Cubs beating the crap out of the White Sox this week. 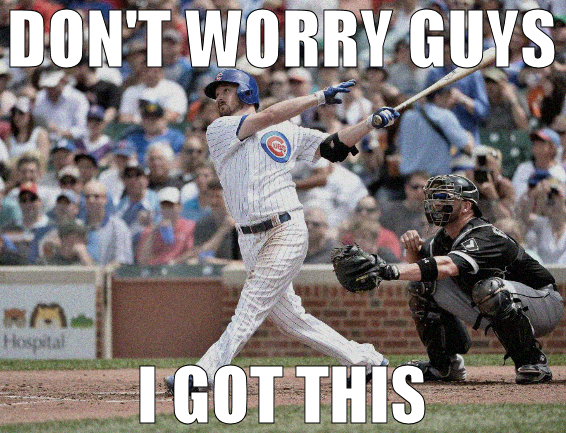 It was the Travis Wood show today as he worked six solid innings for his fifth win of the season, and blasted his second home run of the season which also happened to be a grand slam. 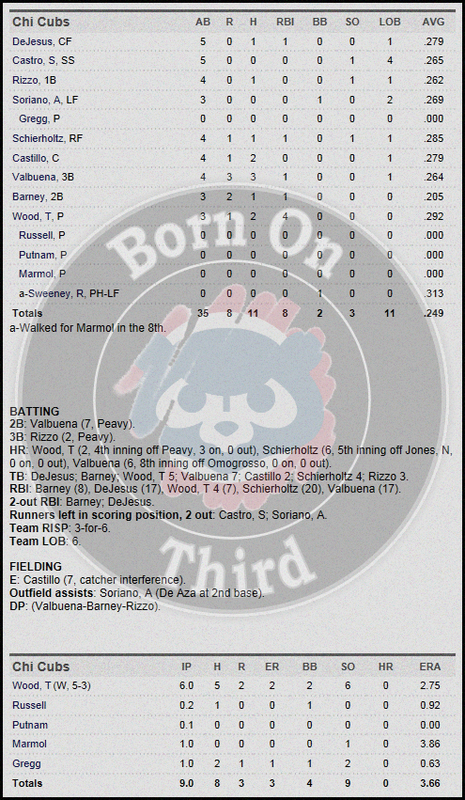 The three game “series” between the Cubs this week ended with the Cubs winning all three, and outscoring the Sox 24-6. That’s fun to say. Would this be a sweep? A three game sweep, a two game sweep? Who cares, just beat the Sox again. The Cubs look for their fourth straight victory and third straight over the Sox this afternoon as Travis Wood takes on Jake Peavy. Can’t stand Peavy, would really enjoy six runs in the first. There is a chance for scattered storms again today, but it looks like tonight and tomorrow should see the bulk of it so this one should get in uninterrupted. Here are the lineups. At The Plate – The Iowa Cubs fell behind quickly in this one, trailing 4-0 after two innings; they were able to cut the deficit to one by the fifth but couldn’t get any closer losing 4-3. The Cubs left too many opportunities slip away as they were only 3-for-12 with runners in scoring position. Brian Bogusevic was 1-for-4 with a walk, a stolen base, and a run scored, his 2013 has been spectacular, he’s now hitting .358 on the season. Dave Sappelt was one of the few productive Cubs in this one, he was 1-for-3 with a walk, a double, an RBI, and a run scored. Brad Nelson and Logan Watkins were the only other Cubs to records RBI’s in the loss. On The Mound – After a bumpy first two innings Nick Struck was able to settle down, he worked five innings giving up four runs on eight hits while walking two and striking out three. Struck has struggled this year, his record fell to 3-4 on the season, while his 6.07 ERA is also underwhelming. Casey Coleman took over and was brilliant, he worked three scoreless, hit-less, innings while walking two and striking out two, he definitely kept the Cubs in this one and gave them a chance to come back. At The Plate – The Annual Rickwood Classic didn’t go the way the Smokies were hoping as they fell to Birmingham 6-3. Arismendy Alcantara had a solid game going 3-for-4 with his first triple of the year, but also made a costly error, his eighteenth of the season. Christian Villanueva has been on a steady upswing as of late, and it continued today as he was 1-for-4 with his seventeenth double of the season, two RBI’s, and a run scored. Lance Rymel made a successful double A debut going 1-for-3 with a walk, and an RBI in the loss. On The Mound – Yeiper Castillo is still adjusting to the jump in levels as he struggled again in his second start with Tennessee. Castillo worked 3.2 innings giving up five runs, four earned, on five hits while walking two and striking out four. A.J. Morris was solid in relief; he worked 3.1 innings giving up one run on three hits while striking out five. Trey McNutt had a solid performance as he continues to lower his ERA; he worked one scoreless inning while striking out one, lowering his ERA to 4.98 on the season. At The Plate – The Daytona Cubs couldn’t get much offense going in this one but they didn’t need it as pitching carried them to a 3-0 victory. Zeke DeVoss had a solid day from the leadoff spot going 2-for-4 with two singles, and a run scored. John Andreoli continues to hit, he was 2-for-3 with his sixth double of the season, an RBI, and a run scored, he’s now hitting .317 on the season. Dustin Geiger was 1-for-3 with an RBI, his forty-third of the season, and he is hitting .311 as well, quite the year so far. On The Mound –Daytona won this game on the mound, and they only needed two arms to do it. Zach Cates got the start and was outstanding for his fifth win of the season, he worked six scoreless innings giving up five hits while walking one and striking out five. Yao-Lin Wang was brilliant out of the pen, he worked three scoreless innings to earn his second save of the season giving up one hit while walking one and striking out five. 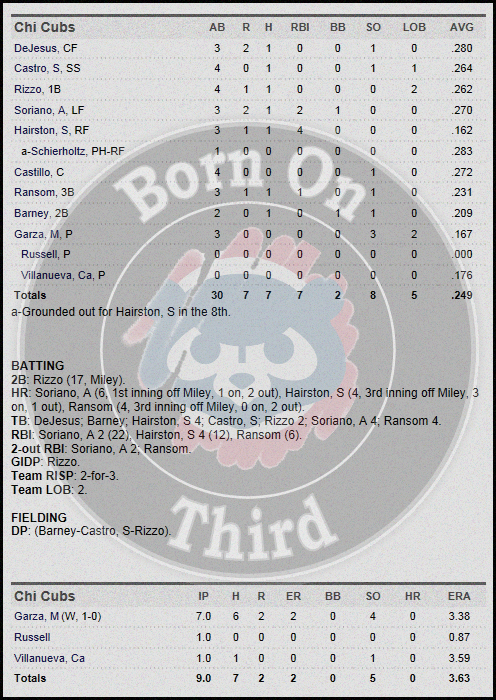 At The Plate – Kane County continues to struggle without Albert Almora as they could only generate one run on five hits in a 2-1 defeat. Marco Hernandez was 2-for-4 with two singles, and a run scored in the loss. Carlos Escobar was 2-for-4, both singles, and an RBI, and that was it for the Cougars as the only other hit came from Oliver Zapata, also a single. On The Mound – Pierce Johnson might be filing a complaint for lack of run support soon; he was tagged with the loss in this one making his record 3-4 on the season despite a sparkling 2.89 ERA. Johnson was solid going 5.2 innings giving up one run on four hits while walking one and striking out seven. Justin Amlung got into trouble, but was able to pitch out of it for the most part; he worked 2.1 innings giving up one run on four hits while striking out two. New ballpark, same result, and I like it. Dioner Navarro just had himself a career day as he launched three home runs, and drove in six to lead the Cubs past the White Sox 9-3. Apparently the best medicine for an anemic offense is a dose of White Sox pitching as the Cubs have pounded out twenty hits and scored sixteen runs over the last two games. Navarro’s offensive heroics were more than enough for Scott Feldman to earn his fifth win of the season. Feldman worked a solid six innings giving up two runs on six hits while striking out seven. So far the weather is cooperating on the North Side, and it is a great day to beat the Sox. Scott Feldman will get the ball for the Cubs and will be opposed by John Danks who is making is second start since returning from injury. First pitch is scheduled for 1:20 PM CST. At The Plate – The Iowa Cubs are on to something as they continue to play some solid baseball, and more importantly get wins. Brett Jackson had a solid game going 1-for-3 with a walk, his fourth stolen base of the season, and a run scored. Donnie Murphy is putting together a solid season, he went 2-for-4 with his fourth double of the year, and a run scored. Edwin Maysonet was 1-for-3 with his fifth home run of the season, three RBI’s, and a run scored. Brent Lillibridge has found his power at triple A, I didn’t think he could ever hit a home run, but he was 2-for-4 with his fourth home run of the season, an RBI, and a run scored. On The Mound – Chris Rusin was absolutely brilliant and has really found a groove as of late, he earned his fourth win and lowered his ERA to 3.55 on the season. Rusin worked eight strong innings giving up one run on six hits while striking out eight, and no walks, outstanding. Eduardo Sanchez worked the final inning giving up one run on three hits while striking out one. 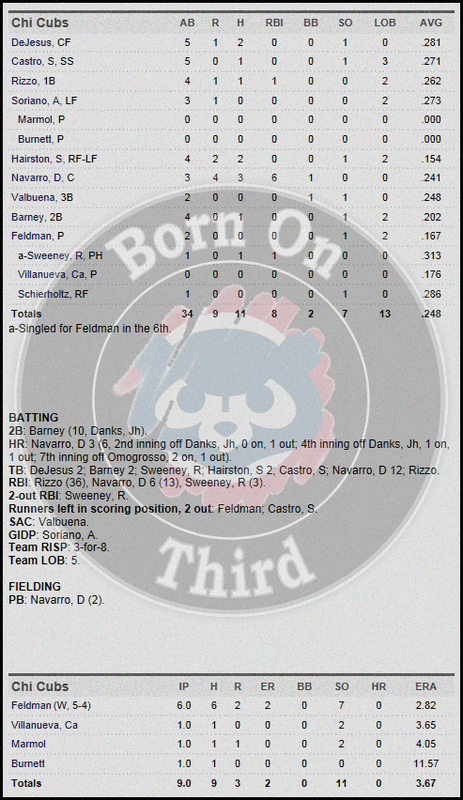 At The Plate – Really good game between two solid teams, and it ended with the Smokies hanging on for a 3-2 victory. Arismendy Alcantara was 1-for-4 with his eighth home run of the season, an RBI, and a run scored. Christian Villanueva padded his slugging numbers in this one, he was 2-for-4 with a double, a triple, and a run scored. Anthony Giansanti was 1-for-4 with a run scored, and two huge outfield assists in the win. On The Mound – Kyle Hendricks was solid yet again, and is turning into the ace of the Smokies staff. Hendricks went 6.2 innings giving up two runs on six hits while walking two and striking out six, he improved his record to 5-2 with the win, and lowered his ERA to 2.47 on the season. Kevin Rhoderick continued to struggle with his command, but was able to pitch around it, working one scoreless inning while walking two. Frank Batista was solid again in picking up his seventh save of the year; he worked 1.1 scoreless innings giving up one hit. At The Plate –Outstanding comeback win for Daytona as they scored once in the bottom of the ninth to tie it, then walked off in the eleventh. 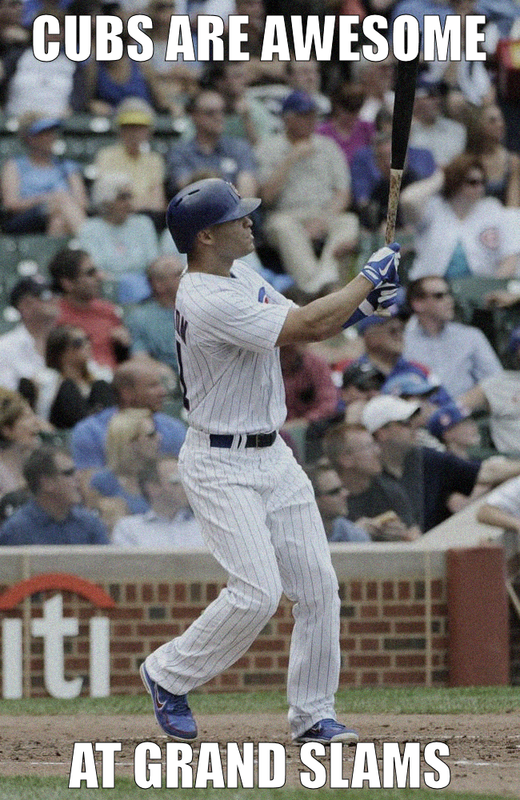 John Andreoli continues to have a solid 2013, he was 2-for-6 with a run scored, he’s now hitting .312 on the season. Javier Baez was the hero last night, he went 2-for-6 with a game winning, walk-off homer in the eleventh, his seventh of the season, two RBI’s, and a run scored. Ben Carhart had a solid game going 1-for-3 with a walk, and two runs scored in the win. On The Mound – Austin Kirk struggled a bit with his command but was still able to work around most of the trouble, he went five innings giving up three runs on seven hits while walking four and striking out three. Austin Reed was okay out of the pen working two innings giving up one run on two hits while walking one. Eduardo Figueroa, Larry Suarez, and Frank Del Valle were solid the rest of the way, shutting down the Yankees over the final four innings. Del Valle worked the final two innings to get the win, his third of the season. At The Plate – Tough luck for the Cougars as their rally was cut short by Mother Nature, they scored three times in the fifth to make it 7-5 then the skies opened up and the game was called after five and a half innings. Pin-Chieh Chen was 1-for-3 with his second triple of the season, and two RBI’s in the loss. 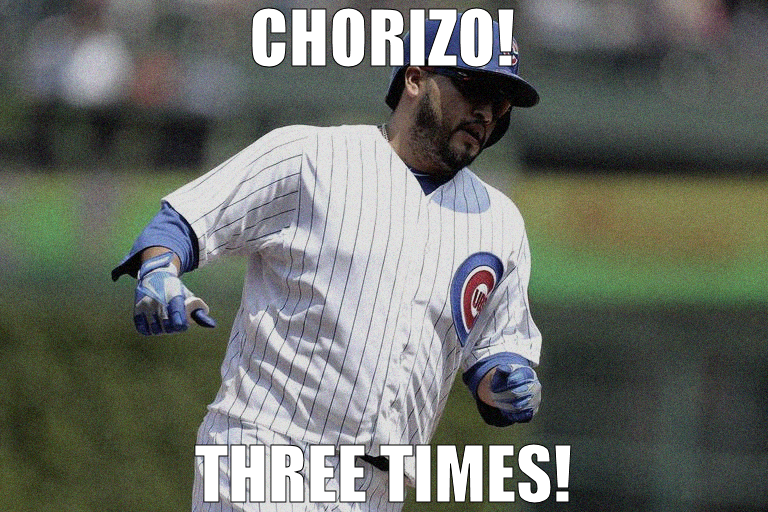 Gioskar Amaya had a solid game going 1-for-1 with two walks (Cubs Way! ), a double, and a run scored. Dan Vogelbach had a productive day going 1-for-3 with his seventh home run of the season, three RBI’s, and a run scored. On The Mound – Dillon Maples has been having a rough go of it since returning from injury, last night the walks got him into big trouble. Maples worked three innings giving up seven runs on four hits while walking five (see? ), and striking out five. Lendy Castillo took over and was solid, going two scoreless innings giving up one hit while walking one and striking out two.